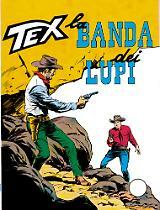 Introduction: Two adventures, two ruthless gangs of outlaws, two bold pard’s ready to stop them! 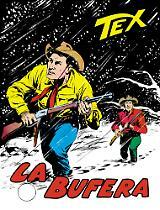 Led by the charismatic Maelstrom, a gang of criminals who escaped from San Quentin Prison put down roots in the heart of Mohave territory, kidnapped two young women from Mastamho’s tribe and keeps them captive near a massive abandoned gold mine known as the "Coliseum". Pain, Eclipse, Marble, Bolt, Sight, Trick… Each of them carries on his forehead the mark of his lethal killing talent. 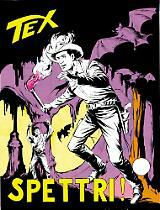 Tex Willer & Kit Carson go to the Mohave Desert for a blood-tinged reckoning! Only the last, quiet workday stays between stationmaster Sommers and his new life in a Montana ranch… But a bandit, Ted Malvin, passes through the Stonewell station. Tex & Carson are ready to put him on a train that will take him to his fate, behind bars. Malvin is the only one who knows where a valuable loot is hidden... Scott Rockwell, Ned Samson, and their men are ready to try anything to put their hands on the money! 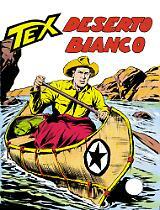 This issue comes with free stickers for the "Tex e gli Eroi Bonelli" sticker collection (the sticker album is embedded with Tex 695).